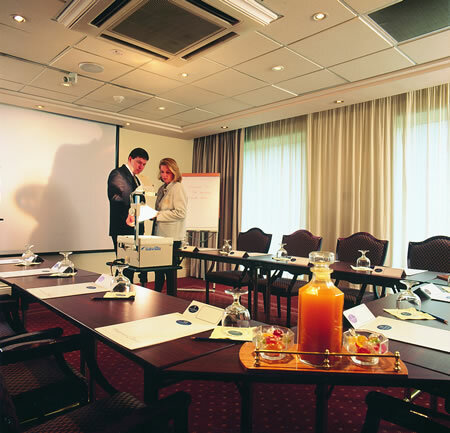 The 4 Star Europa Hotel's conference and business meeting facilities are second to none. From the Grand Ballroom to the purpose built Eurobusiness Centre, this is truly the province's best City Centre Business Centre. 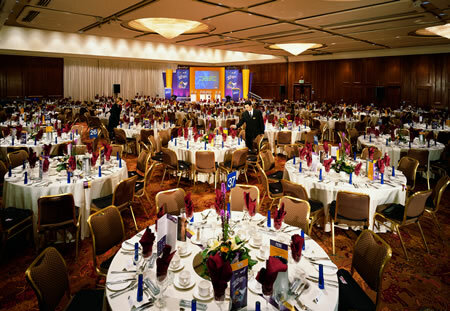 The Europa Hotel has a total of 16 highly flexible conference and banqueting suites, and the Grand Ballroom, one of the largest hotel function suites in Northern Ireland, is situated on the first floor of the hotel, and is suitable for large conferences, exhibitions, banquets, car launches, fashion shows and televised events. Vehicular access to the Grand Ballroom, via the car park located to the rear of the hotel, ensures the room is suitable for car launches. The Eurobusiness Centre is a suite of 9 purpose designed executive meeting and private dining suites, located on the second floor. Secretarial assistance is available on request for delegates. 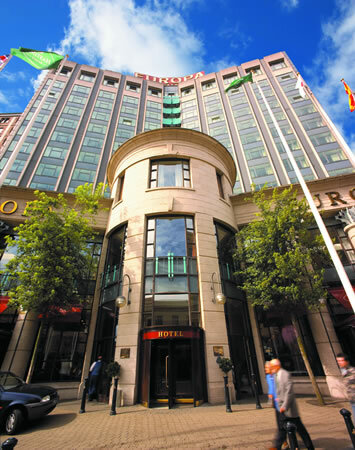 The Europa Hotel is Belfast's most prestigious address. 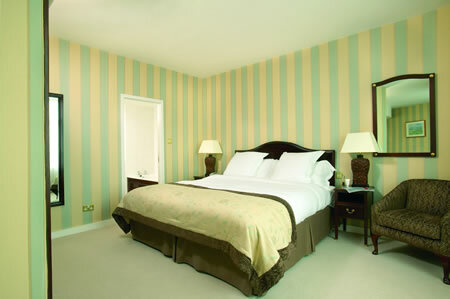 Each guest room is exquisitely appointed and traditionally furnished. It is the first choice for visiting dignitaries, presidents and stars of stage and screen. 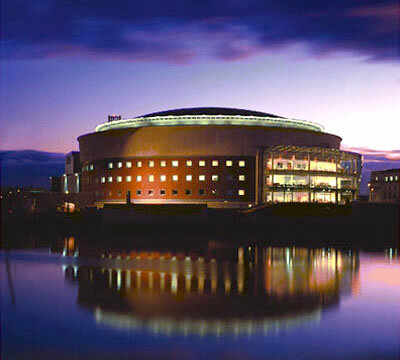 The Europa has 240 bedrooms, including 56 Executive Bedrooms, making it one of the largest hotels in Northern Ireland. The Group's commitment to quality, service, facilities and accommodation is further assured by their 'Meeting Excellence Programme' a 14-point performance guarantee package. This unique service is designed to support you in planning and conducting more effective meetings. This is your guarantee that you will find purpose designed, well equipped meeting and training facilities, supported by friendly, fully trained staff along with consistent high standards of performance and quality, each and every time.